Zalvados heads back to Haydock with big chance. Shotgun Sally and Tim Rocco head up to Newcastle. Lord County heads to Wetherby. Debrouilliard and Katebird head to Doncaster. Strong Resemblance looks for another victory. 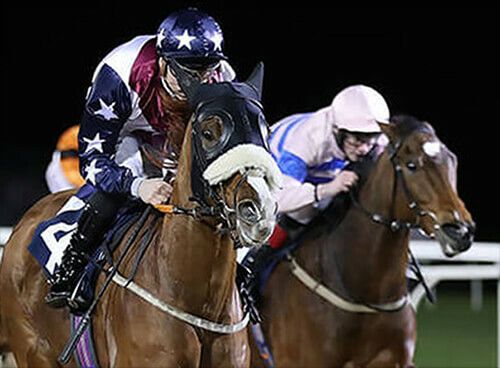 Arctic Road all set for Handicap debut at Uttoxeter. Busy boxing day with 5 runners across 3 meetings. Strong Resemblence looks to build on promising second. In form Asking Questions heads to Cheltenham! Never a Word heads to Stratford in good order. Asking Questions back on the track after summer break. Rocky heads to Ffos Las in top order. 2 live chances for the team on Saturday. Helf heads to Beverley looking to back up his hurdling victory. Fort Jefferson looking to record his fourth victory of the season. Omotesando heads to the Roudee! Fort Jefferson makes it 3 victories on the bounce with easy Haydock win. Come on Louis makes his chase debut. Lord County heads to Haydock. 3 runners at Warwick on Friday. Titan looks to back up very good second. Zalvados heads for the Betfair hurdle! Admin Assistant required here at Oliver Greenall Racing. Cave Top looks to make in 3 from 4 this season at Uttoxeter. Cave Top makes his seasonal debut. Come on Louis looks to confirm Bangor Promise. Rock Warbler heads to Haydock in top order. Bobs Boy heads to Catterick to make his stable debut. Desert Sting heads to Stratford looking to complete a 4 timer under both codes. 3 runners on a busy Wednesday. Big day for the Stockton Hall team at Bangor on Dee on Sunday. Two runners for the Stockton Hall team on Tuesday. Los Cerritos heads to Dortmund on way home from St Moritz. Glassonbury heads to Bangor with strong team. Airpur Desbois + Quids In head to Uttoxeter. Two stable stars go to war on big Saturday for yard. Rock Warbler aims for his third victory at Newcastle! A busy festive period for the Yard on and off the track. Plenty to look forward to following 2 encouraging runs. A big day for the yard at Uttoxeter. Rock Warbler gives us our first winner under rules! Our Crusade looking to finish off his season in style. Late Romantic makes his rules debut! Modulus heads back to Tabley! Desert Sting runs a blinder! Looking ahead to our first runners of the season! Busy weekend rounded off with a winner !